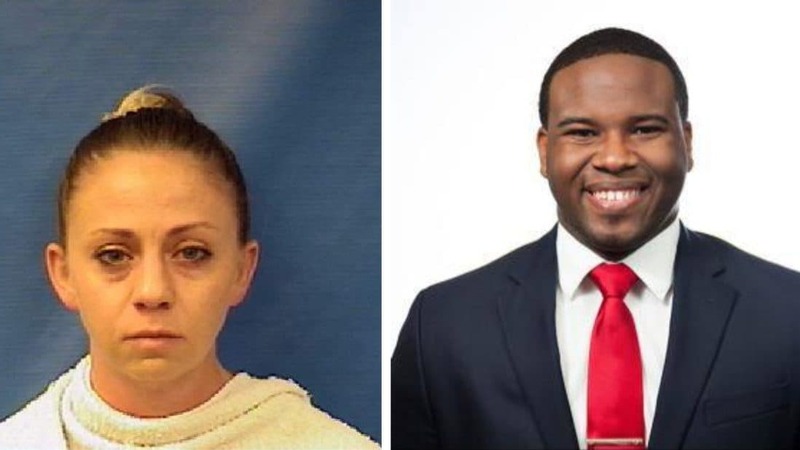 The fired Dallas cop who shot and killed Botham Shem Jean in his apartment last year, made a court appearance on Tuesday, The Daily Mail reports. Flanked by her attorneys, Amber Guyger, 30, appeared at the Dallas Criminal Courthouse but State District Judge Tammy Kemp did not conduct a hearing in the courtroom for Guyger’s ‘announcement’ setting. No word on what attorneys discussed during the appearance, The Dallas Morning News reported. Neither Guyger or her attorneys commented as they left the hearing, obeying a judge’s order not to publicly discuss the case. Guyger told investigators that she had just ended a 15-hour shift when she returned in uniform to the South Side Flats apartment complex. She parked on the fourth floor, instead of the third, where she lived, according to the affidavit, possibly suggesting that she was confused or disoriented. She claims she shot Jean, a 26-year-old accountant, thinking he was an intruder in her apartment. A Texas grand jury indicted Guyger for murder in the shooting death of Jean in September. Jurors had the option to indict Guyger for murder or manslaughter or to decline an indictment. In an effort to ensure a fair trial for Guyger, earlier this month a judge blocked attorneys from publicly sharing details about the murder case, the Morning News reports. Kemp met with Dallas County prosecutor Jason Hermus and Guyger’s attorneys, Robert Rogers and Toby Shook, to hand down the gag order. The judge made the decision “as a result of statements made to, and published by, the press a serious and imminent threat to the constitutional right of the defendant herein to a fair trial exists,” according to local station KXAS-TV.